First, the good news! 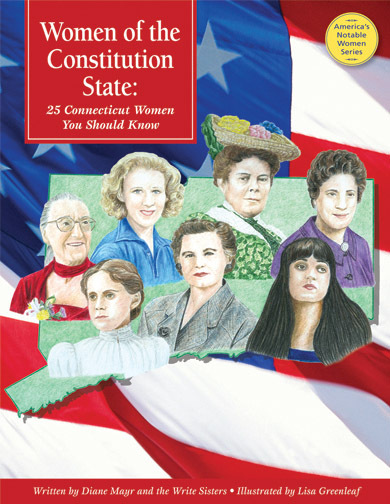 Apprentice Shop Books has released the latest book in the "America's Notable Women" series, this one written by The Write Sisters: Women of the Constitution State: 25 Connecticut Women You Should Know. 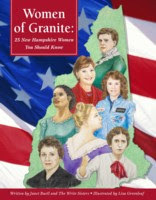 The variety of women found in this latest book of biographical profiles is amazing. There are nurses, dancers, astronomers, politicians, writers, judges, and more! You won't want to miss it! Now, for the not-so-good news. After 712 posts, The Write Sisters have decided that we've reached the end of this great adventure known as blogging. We started fitfully back in 2007, hit our stride in 2008, and have had 5 strong years. Alas, life gets in the way. Interests and goals change. We get older. 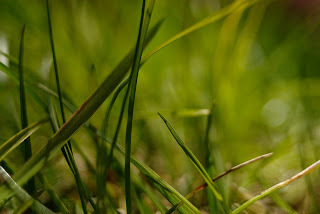 The continuation of our blog no longer fits for us. We will keep the blog accessible, so that new writers can browse through our helpful "Mentor Monday" posts. If you're interested in strong women, there's our "Women of Wednesday" posts to mine. 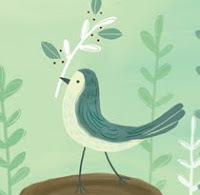 If you're a friend of poetry, "Poetry Friday" offerings will remain to delight you with words. Looking for something particular? Simply use the search box at the top left of the screen, or the blog search box on the right-hand side. It's nearly Valentine's Day, a supersnowstorm is heading our way, and I've found the perfect poem! into a perfect flake of miraculous snow. but sensing, seeking out, its destiny. leaning forward to kiss her lovely mouth. Didn't I tell you? It's a lesson in science, it's a lesson in love, it's a lesson in hope. It's happiness! How have I never read this before? If you've never come across it, I hope it delights you as much as it has me. You'll find the Poetry Friday Round-Up taking place at A Teaching Life. Please stop by. Maybe you have hit a wall. 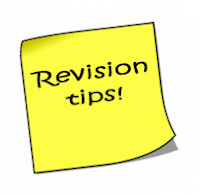 "Revision" in your writing has turned into a series of minor word changes and sentence alterations. You don't feel as if you are really revising. You’re simply marking time, waiting for some new thought, some new way to express your ideas. How to break out of this funk? One my go-to solutions at this point is an old book. 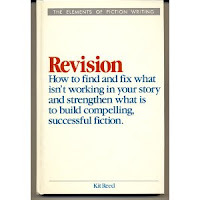 Revision by Kit Reed was published in 1991 but I still find it useful. It was written for the fiction writer. I'm usually stuck in a mess of non-fiction or creative non-fiction. Will any of Reed's techniques be able to help the non-fiction writer, you ask? I do feel somewhat like a trespasser, a person visiting a church I don't attend. If I sit in a foreign pew and stare at someone else’s' altar, will God still hear me? If I read a book about revising fiction, will it help me out of my non-fiction slump? I can say that it does. Kit Reed is ready for doubters like me: "Even attitudes need revision," she says almost immediately. (p. 4) I have been clinging to the idea that I lack the ability to go any further with my stories. I read this sentence in Reed's book and sheepishly recognize that part of my so-called slump concerning this latest round of rewrites might be a result, not of ability, but the other "A" word: attitude. Revision, Reed points out, ". . . closes the distance between you and your audience." (p.10) So, revision is not about what the writer wants to say as much as what the writer wants the reader to know. Have I been going about this all wrong? I was writing a series of chapters relating the historic development of forensic science. The first story tells of Paul Revere who identified the war-torn body of a friend from the false teeth Revere had made for him. 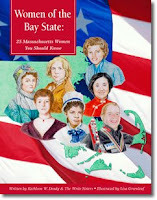 As I was writing my Paul Revere story, members of my critique group kept saying: "We just want to know about the teeth." I got so caught up in Paul Revere the silversmith, Paul Revere the father of eight children, Paul Revere the Revolutionary, that I included all of those things when I should have been focusing on Paul Revere the maker of false teeth. Kit Reed encourages the revising writer to stop thinking about the story at a certain point and focus on the receiver of the story. My critique group was giving me the same advice. Reed divides revision into two basic types: 1) draft writing, draft revision; and 2) block construction (or revising as you go). (pp. 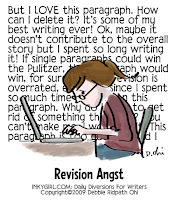 29 - 32) Draft revisers write the complete story before beginning revisions. They may make large organizational changes between one draft and the next. Block constructionists work on one sentence until it is perfect then move to the next. They work on one paragraph until it is perfect and so on. I am a draft writer. I need a beginning, middle, and end before I can make any changes. I admire people who can work from an outline or write the last chapter before they write the first, but I'm not one of those people. I start each story with a vague idea of what I hope to accomplish, who my characters are and, if I'm lucky, something of a plot. Even a work of non-fiction needs this basic plan. “No matter which method we choose, sooner or later we come up against that moment when we have written "the end" and discover we still need to consider one more reading, for that third major kind of revision: revision to strengthen structure and story. One of the great mysteries of my writing life is why, after I've spent so much time researching, reading, thinking, and preparing to write a story, I can't just skip all the junk and go immediately to a perfect piece. Kit Reed tells me I'm not alone. As frustrating as it sometimes becomes, revision is part of the package. She suggests three ways to tell whether a piece is really done: 1) by reading the works of others and comparing what you've written. 2) by putting the work aside and giving yourself distance from it. 3) by allowing outside readers (critique groups, friends, even editors) to judge whether the piece continues to need work. I have done all of these things with past work and the truth is, they are all helpful. Unfortunately, the answer I really wish for (Someday you'll get it down perfectly in one try!) doesn't exist. Reed does provide me with an alternative: a series of step-by-step questions to ask myself as I rework my latest story. The author means her book to guide fiction writers. Will her suggestions help me over the wall I've hit with my non-fiction pieces? Am I saying what I mean? Are my word choices working for or against me? What about sentence variety? Do I sound like me or the last writer I read? Is my opening interesting? Does my story really begin here? Have I added enough (or too much) detail? "July 9, 1850. The news spread quickly: the President of the United States was dead. Many, many people were glad to hear it." This opening feels better. I have set the time of the story, the character, and a statement that just might make my reader want to know more. As I begin to write a piece on Jesse James, I keep Reed's question in mind: Am I saying what I mean? I mean to tell a story about forensic science so how do I turn an outlaw's story into a story of science? I must start this story not at Jesse's death, but at the point his death becomes a forensic mystery. I begin the story sixty-six years after Jesse's death, when an elderly man claims that he really is Jesse James. I feel as if I'm beginning to get to the "teeth" of all my stories. There are many fine books on revision out there. If you’re stuck on your writing, go to your local book store and look for one. It may help you look at your work in a different way. There are things I tell to no one. I was sad, and try to comfort me, or become sad themselves. At such times I go off alone, in silence, as if listening for God. I find that stanza touching, and I can relate well. We all need solitude every once in a while. 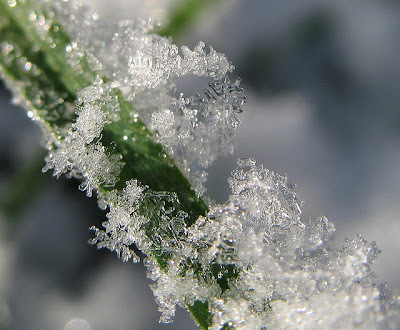 from "One or Two Things"
Please visit Teaching Authors for today's Poetry Friday Round-Up. Have you ever put down a book after reading it and asked yourself, “How did this ever get published? And where was the editor?” Have you ever said, “I write so much better than this. My dog writes better than this.” Have you ever wondered how these books, and these authors get published, while you’re sitting there with a technical masterpiece that no one shows the slightest interest in? If that’s the case, you may want to look over your masterpiece one more time with an eye not on the writing, but on the story. Most readers, adult or children, do not read books because they can’t get enough of wonderful metaphors. Those who do are probably picking up literary novels, not commercial best-sellers. Most people read for story. They want to be able to fall into the life of someone doing something exciting, or different, something they would probably love to do themselves, but never will. People who read romance are in it for the romance. People who read historicals want to be brought to another place and time. People who read horror want to be scared. And people who read adventures want the adventure. Your job as a writer is to give them what they want, in whatever genre you choose to write in. So what is your story about? Is it something new and exciting, or is it the same old stuff writers have been writing about for ages? If it is the same old stuff, have you given it an original and exciting twist, something that makes it stand out from the rest? Does it contain tension and suspense? Is there conflict, a reason to keep turning the pages? Do you make your reader feel what the main character feels? 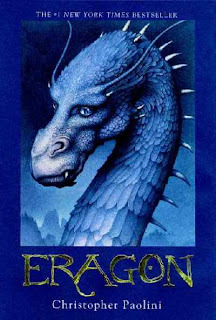 Look at the success of the Eragon and Twilight series. Neither is particularly well written, but each writer told a story that worked for millions of readers. Millions, not thousands. Eragon was a hero’s story, a boy goes on a quest. It’s been done a million times. Why was Paolini’s such a big success? Because everybody dreams of being a hero, everyone wants to win, and he gave them that opportunity in the pages of his books. And there is something about dragons that appeals to so many. But the biggie, I think, is because he followed a formula that so many best sellers seem to have - the chase, the escape, then rest, think, regroup. The chase, the escape, more rest, rethinking, and regrouping. Paolini’s characters do this continuously throughout the story until the climax. It’s Tolkien’s formula in Lord of the Rings. It’s the formula used in so many suspense thrillers. The tension and suspense never let up, and the conflict continually grows bigger and bigger. Was it a conscious decision of Paolini’s, or had he simply learned it through osmosis while reading others? I don’t know. But it’s there, and it works. For millions. Constant action, constant movement, and always a new problem. The reader has to turn the page because they’re involved in the story, and they don’t care if Paolini used lay instead of lie, or if his infinitives are split. Meyer also used an old story that’s been done a million times – boy meets girl – a typical romance. But she gave it a great twist. The boy her heroine falls in love with is a vampire. And she didn’t stop there. She didn’t make her vampire a typical vampire. She reinvented the vampire to suit her story. So, how many teenage girls are there who don’t love a romance? 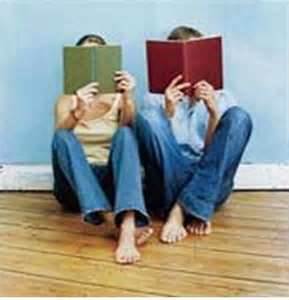 And how many romance readers, teen and adult, are there in this great big world of ours? Enough to keep Harlequin in business for years and years and years. And how many of them are going – A romance with a vampire? That’s different. I gotta check that out. Then there are the horror readers. A vampire falling in love with a human? 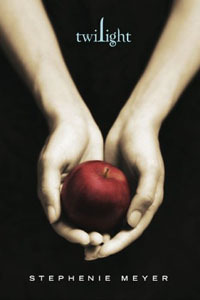 And a love triangle between a human, vampire and werewolf? I gotta see what that’s all about. And let’s not forget the paranormal readers, who like to delve into the lives or vampires and werewolves and anything else unexplainable. Meyer gave readers something they hadn’t seen before, something that appealed to a broad range of people - people who bought the book on just the promise of a story, and once they started reading, they didn’t care about her overuse of adverbs and bad dialogue tags. Now this isn’t to say you should just write your story and forget about the quality of the writing. I believe Paolini and Meyers were writing to the best of their abilities at the time they wrote their books. It seems evident when reading the sequels, where the writing gets progressively better. The point is it really is all about the story. If no one is interested in what you have to say, the fact that you say it in a lovely way doesn’t matter. Put a very well-written, okay story on an editor’s desk, along with a badly written but fantastic story, and I think an editor will choose the better story every time, regardless of the writing, because the writing can always be made better, and it can be done easily. It takes far more work to make a dull story exciting. So what’s the lesson here? Well, there are several. Even if you’re a beginning writer, if you have a great story to tell, you can get published. If you’ve been writing for a number of years, and your writing skills are pretty good, but you still can’t seem to sell anything, perhaps you should reconsider what you’re writing about. And when you do write that great story that everyone wants to read, take the time to rewrite it as well as you can because, if a great story, badly written, can sell a million copies, imagine how many copies a great story, wonderfully written, will sell. To learn more visit Apprentice Shop Books. Who Are The Write Sisters? We are "Yesterday's children writing for today's kids." We started as a critique group and grew to be friends and business partners. It is our goal to spread our love for children's books and writing, and to share our expertise with others. Visit Clipart ETC for a collection of clipart for students & teachers.